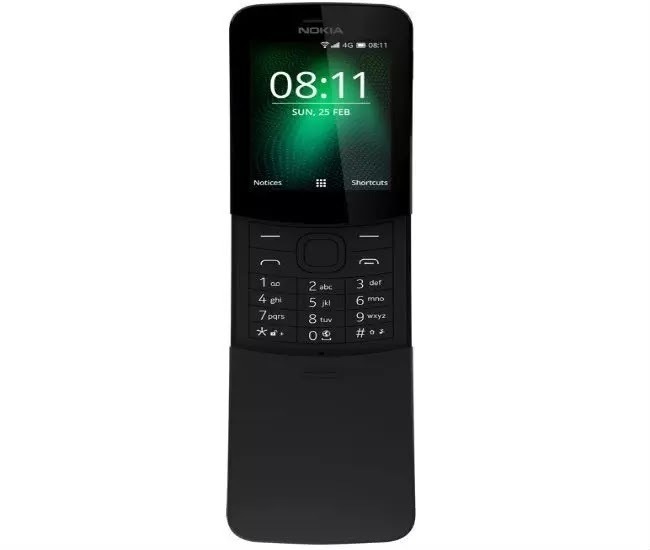 Nokia 8110 (4G) mobile is a feature phone. But some special features have been added to this mobile.The most interesting aspect is its flip cover.To receive a phone call, the cover will be open and the cover will be closed when the talk ends.Although it's a feature phone, it has been given in the 4G network system. As a result, with this phone internet browsing imo facebook can be done very easily. This phone contains dual-core CPU as well as operating system koiOS. Considering memory 512mb ram and 4gb internal memory have been given. This mobile also has Snapdragon 205 chipset qualcomm adreno 305 GPU. This phone have 2 megapixel back camera but there is no front camera. So you can take picture from back camera battery health check any picture for selfie by this phone. This is not a smartphone but it is a small phone. Nokia 8110 has 2.4 inch display so it is not unable to enjoy movies all games like smartphone.The idea that the mobile was made is to be applauded.But the price of the phone was much more caught than the features. Price in Bangladesh 7,200 Tk.